Dell 's highly-anticipated IPS LCD display began shipping this week. 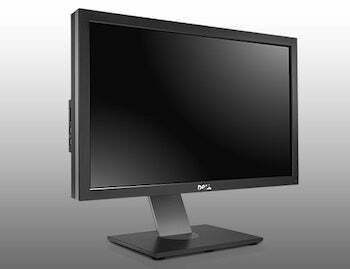 The 27-inch monitor packs in a high-resolution display in addition to serving up a whole host of input options. The new widescreen UltraSharp U2711 boasts a clarity similar to that of Apple's high-end iMac, placing a massive screen resolution real-estate of 2560 x 1440 in front of users eyes. However, unlike Apple's iMac, Dell customers will be pleased to know that the new monitor comes with a matte finish, to reduce that annoying screen glare. Other details that make this monitor notable include its high contrast ratio of 80,000:1, a wide 178-degree viewing angle, and the use of In-Plane Switching (IPS) technology, a higher-quality LCD panel type which I recently explained in more detail. But the impressive credentials don't end there, as Dell's new monitor offers plenty of connectivty, including four USB ports, a memory card reader, an HDMI port, and two DVI inputs. This impressive monitor is now shipping and can be snapped-up for a hefty starting price of $1,099. Not too sure on that price point? Several early reviews claim it may just be worth it. For more details, see Dell's official site.